As many as 26 officials who were found to be absent from election duty have been booked by district authorities. MUZAFFARNAGAR: As many as 26 officials who were found to be absent from election duty have been booked by district authorities here, a top official said today. The officials have been booked under the Representation of the People Act, 1951, Chief Development Officer Ankit Kumar Agarwal said. The case was registered on the directive of election officer after the 26 officials were found to be absent during election training. 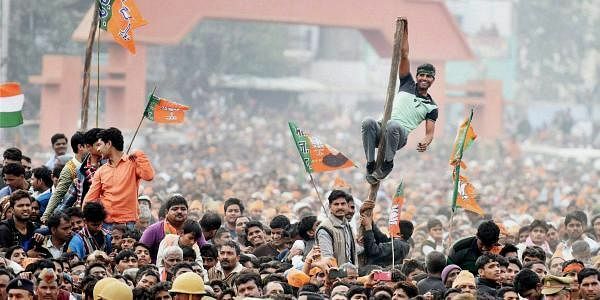 The campaigning for the first phase of the high-stake Uttar Pradesh Assembly elections will come to an end today in 73 constituencies spread over 15 districts including riot- scarred Muzaffarnagar and Shamli. There would be a three-cornered fight between BJP, BSP and SP-Congress alliance in UP.